In the Till decision, the U.S. Supreme Court selected the Formula Approach to provide a straightforward, familiar, and objective method for determining the cramdown interest rate to be paid on secured claims in Chapter 13 cases, minimizing the need for potentially costly additional evidentiary proceedings. Many bankruptcy courts have found this decision instructive and directive for Chapter 11 matters. However, the application of the Formula Approach for determining the cramdown interest rate on secured claims in Chapter 11 matters has not made for a straightforward approach, nor has it eliminated sometimes lengthy and costly evidentiary hearings. In his Till dissent, Justice Scalia proposed using the Contract Rate Approach for determining the cramdown rate. In this two-part article, Dr. Needham reviews data from six post-Till Chapter 11 cases. He discusses the difficulty in using the Contract Approach due to the complexity of the original loans, changes in the loan terms, changes in the value of the collateral, impacts to the debtor’s cash flow, and changes in the lending environment between the loan origination and the confirmation hearing. Ultimately, he proposes that despite the problems presented by the Formula Approach, the contract approach is not a panacea for Chapter 11 bankruptcy matters and business valuators practicing in this area must understand case precedent and recognize the limits of the proposed approaches. Chapter 11 of the U.S. Bankruptcy Code allows a debtor to repay a secured claim over a period of time provided that the creditor receives “deferred cash payments totaling at least the allowed amount of such claim, of a value, as of the effective date of the plan, of at least the value of such holder’s interest in the estate’s interest in such property.” This statutory language is to ensure that the creditor receives the present value of its claim. To fulfill these requirements, interest is paid on the deferred payments. The inclusion of interest allows for the time value of money (i.e., the fact that the claim will be paid over time and not on the effective date of the plan). Under Section 1126, creditors have the right to object to the reorganization plan. These objections vary from structural issues to the duration and/or interest rate to be paid on a specific claim, the value of the collateral securing a claim, or the feasibility of the debtor to make such deferred payments. Should a creditor file such an objection, the bankruptcy court will hold a hearing to allow the debtor and creditor to argue their positions. These hearings are generally referred to as cramdown hearings, because the debtor is asking the court to cramdown the terms of the reorganization plan on the contesting creditor. One of the most contested issues in Chapter 11 bankruptcy matters is the interest to be paid on secured repayment plans. In these contested cases, the debtor is offering a lesser interest rate than the creditor is willing to accept while the creditor is arguing for a greater interest rate than the debtor is willing to pay. Experts are retained to opine as to the applicability of each sides’ interest rate. These hearings can be time-consuming and costly, with complex interest rate assessments being provided to the court. The U.S. Supreme Court has not specifically addressed the approach to be used in determining the cramdown interest rate for Chapter 11 secured claims. Many bankruptcy courts rely on the Court’s Till decision and its selection of the Formula Approach for direction. In Till, the dissenting opinion called for the use of the Contract Rate Approach. Could the Contract Approach provide a remedy for the costly and time-consuming cramdown Chapter 11 hearings or is it just a different avenue to the same costly, time-consuming results? 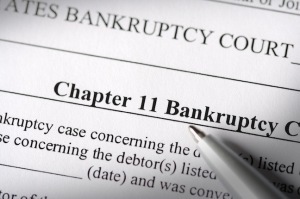 This article reviews six Chapter 11 bankruptcy cases from the northern and western districts of Texas. The analysis will consider the impact of applying the Contract Approach for determining the cramdown interest rate. These case studies will highlight the complexity of Chapter 11 debt and the difficulty in applying the contract rate approach in these matters. In Till v. SCS Credit Corp., the U.S. Supreme Court selected the Formula Approach as the appropriate method to use in determining the cramdown interest rate for Chapter 13 secured claims. Many bankruptcy courts have found the Till decision to be instructive and directive for determining the cramdown interest rate for Chapter 11 secured claims. In Till, a plurality of the Supreme Court ruled that bankruptcy courts must calculate the Chapter 13 cramdown rate by applying the prime-plus formula. While the plurality [in the Opinion] suggested that this approach should also govern under Chapter 11, we have held that ‘a Supreme Court decision must be more than merely illuminating with respect to the case before us, because a panel of this court can only overrule a prior panel decision if such overruling is unequivocally directed by controlling Supreme Court precedent.’ [Citation omitted] …While many courts have chosen to apply, the Till plurality’s formula method under Chapter 11, they have done so because they were persuaded by the plurality’s reasoning, not because they considered Till binding. In this decision, Justices Stevens, Souter, Ginsburg, and Breyer voted in favor of applying the Formula Approach with an interest rate ranging from the current prime lending rate plus one to three percent. Justices Scalia, Rehnquist, O’Connor, and Kennedy voted against the Formula Approach calling for the use of the Contract Rate Approach. Justice Thomas concurred with the majority opinion but did not favor the Formula Approach, rather opting for a risk free rate approach. The selection of the Formula Approach was meant to reduce the time and cost incurred to arrive at a cramdown interest rate. “[T]he formula approach entails a straightforward, familiar, and objective inquiry, and minimizes the need for potentially costly additional evidentiary proceedings.” This goal has not been achieved in Chapter 11 bankruptcy matters. Contested hearings over the interest rate to be applied for the repayment of secured claims have become time-consuming events, at times running for days, with opposing experts providing the court with sometimes complex calculations for determining the proper interest rate. “I would adopt the contract rate—i.e., the rate at which the creditor actually loaned the funds to the debtor—as a presumption that the bankruptcy judge could revise on motion of either party. Since that rate is generally a good indicator of the actual risk, disputes should be infrequent, and it will provide a quick and reasonable accurate standard. Daniel Wong’s Northwestern Law Review article provides additional support for using the Contract Rate Approach. After reviewing the various methods for determining cramdown rates, this Comment argues for the adoption of a contract rate approach. Under the contract rate approach, courts will default to the contract rate of the secured claim. This method will serve the interests of both the debtor-in-possession and the creditor better than the approaches that are currently being used because it adequately protects the creditor’s lending expectations while also helping to limit the debtor-in-possession’s evidentiary costs. Unlike the other approaches, the contract rate approach is objective; courts will no longer have to consider evidentiary material to make a determination of the appropriate risk premiums or the existence of an efficient market. The other approaches mentioned in Mr. Wong’s article are those addressed in the Till decision; Formula, Coerced Loan, Presumptive Contract, and Cost Of Funds. These were the four approaches reviewed by the Till court prior to selecting the Formula Approach for determining the cramdown rate for a Chapter 13 secured claim. The Presumptive Contract Approach is similar to the Coerced Loan Approach. The Coerced Loan Approach looks at the lending market as a whole. The Presumptive Contract Approach focuses on the creditor’s lending practices. It examines the interest rates charged by the creditor to non-bankrupt debtors for comparable loans (i.e. similar loan amount, collateral, and terms). This approach may also look at the prior transactions between the creditor and the debtor. The Cost of Funds Approach is based on the borrowing costs of the creditor. It examines the cost to the creditor to replace the funds being lent to the debtor. This approach assumes that the creditor will borrow additional funds to lend to non-bankrupt debtors during the period that this claim is repaid. The cramdown rate is the cost to the creditor to acquire these new funds. This Comment has established that the contract rate approach is superior for several reasons. First, the contract will allow the court to apply an objective approach that can eliminate the uncertainty involved in establishing a risk premium under the formula approach or an efficient market approach. Second, this Comment has showed that the contract rate approach protects justified expectations of the parties and the underlying policies of the Bankruptcy Code. And finally, the contract rate approach is easier to manage and instills predictability and uniformity in an area of law that has generally lacked both. In Part 2, Dr. Needham explores post-Till cases, highlighting the problems encountered when using the Formula Approach. Dr. Needham tests whether the Contract Rate Approach may provide a better approach and overall solution to both debtors and creditors in Chapter 11 bankruptcy. Allyn Needham, PhD, CEA, is a principal at Shipp, Needham & Durham, LLC (Fort Worth, Texas). For the past 17 years, he has worked in the area of litigation support. Prior to that, Dr. Needham worked more than 20 years in the area of banking and risk management. Dr. Needham has also been an adjunct professor of economics at Texas Christian University and Weatherford College. As an expert, he has testified on various matters in state and federal courts relating to commercial damages, personal damages, business bankruptcy and business valuation. Dr. Needham can be reached at aneedham@shippneedham.com and (817) 348-0213. Needham, Allyn, and Schroeder, Kristin, “Cram Down Interest Rate Analysis in Chapter 11 Bankruptcy Matters: An Overview,” The Earnings Analyst, Vol. 12, 2012, 23. Contract rate is defined as the interest rate specified in the loan document. Wong, Daniel, “Chapter 11 Bankruptcy and Cramdowns: Adopting a Contract Rate Approach,” Northwestern Law Review, Vol. 106, No. 4, 2012, 1927‒58. Risk premia (premium) is the return in excess of the risk-free rate of return. It is the reward that investors require to accept the uncertain outcomes associated with securities. The size of the risk premia will depend upon the type and extent of the risk. Bankruptcy Abuse Prevention and Consumer Protection Act (2005). Marotta, David John. “What Exactly Is Quantitative Easing?” Forbes, May 5, 2014. “When Will Quantitative Easing End?,” www.abcnews.go.com.